Thomson Cruises has announced that Thomson Discovery will be home-ported in Bridgetown, Barbados, for the winter 2016/17 season. A choice of three itineraries on Thomson Discovery will be available departing from Barbados. The new Seven Shores itinerary will be Thomson Cruises’ first Caribbean itinerary not to feature any sea days. The ship will call at Fort de France, Martinique; Roseau, Dominica; Pointe a Pitre, Guadeloupe; Castries, St Lucia; Kingstown, St Vincent and St George’s, Grenada. Royal Caribbean’s Splendour of the Seas will be transformed into Thomson Discovery in the spring next year. Her final sailing under the Royal Caribbean brand will be a 16-night voyage from Dubai To Venice departing on 4 April 2016. The ship will then undergo re-branding and a refurbishment programme before re-entering service under the Thomson Cruises brand in June. Her first public voyage will depart Palma, Majorca on 11 June. The seven-night Highlights of the Mediterranean itinerary will see the ship call at Ajaccio, Corsica; Civitavecchia (for Rome), Italy; Livorno (for Florence and Pisa), Italy; St Raphael (for St Tropez and Cannes), France; and Barcelona, Spain. The family-friendly ship will have a capacity of 1,830 passengers at double occupancy across 915 cabins and will boast an outdoor movie screen, rock climbing wall, nine-hole mini golf course, three à la carte restaurants and eight bars and lounges. 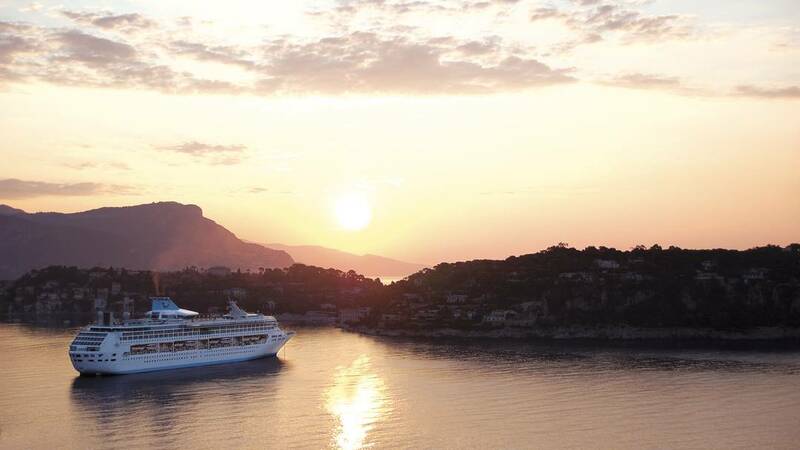 A choice of four itineraries aboard Thomson Discovery are available for summer 2016: Highlights of the Mediterranean; Magic of Spain; Cosmopolitan Classics; and Mediterranean Secrets. Thomson has created the schedules so that guests, particularly families, will be able to make the most of the programme with Saturday sailings and flights available from 19 regional airports across the UK and Ireland. Elsewhere Thomson Dream will sail from Montego Bay, Jamaica, for the season with three itineraries available: Cuban Fusion; Mayan Treasures; and Pride of Panama. From December 2016 Thomson Celebration will offer a choice of two seven-night itineraries sailing from its new home-port of Dubai. For a limited time Thomson Cruises will be offering free all-inclusive upgrades on winter 2016/17 cruises, subject to availability.